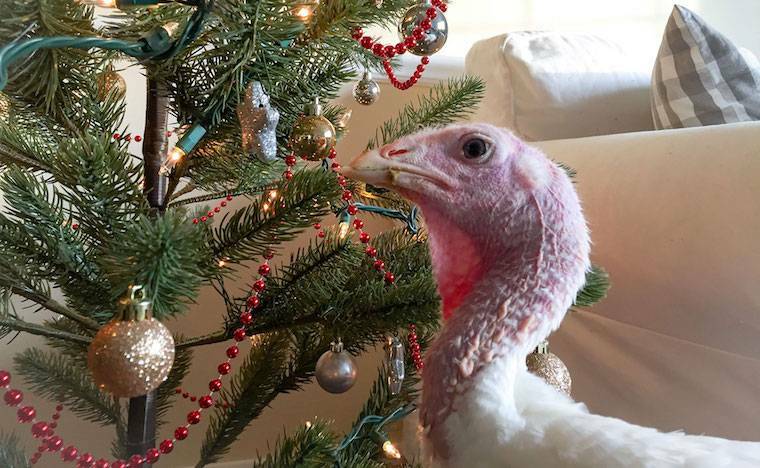 We’ve received some wonderful pictures of chickens and turkeys from our good friends and theirs throughout the year. Here are four that were sent to us this month of December that we’re delighted to share with you this holiday week. 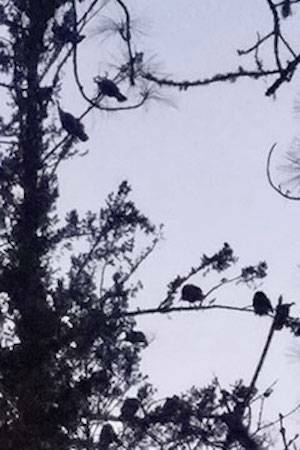 The turkeys roosting in the trees in the evening and gathering together on the ground during the day (below) are the cherished visitors of Gay Bradshaw and Jeff Borchers in Jacksonville, Oregon. Photos by Jeff Borchers, Dec. 2017. 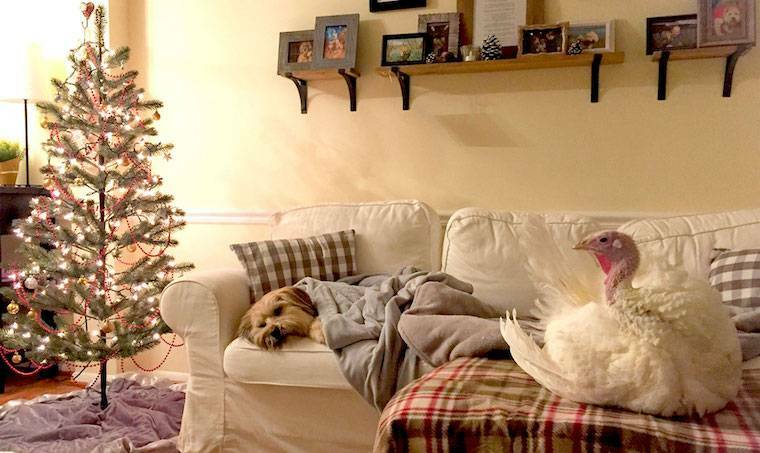 Blossom relishes her comfy Christmas at home with Abbie Hubbard and companion Minnow in Baltimore, Maryland. Photo by Abbie Hubbard, Dec. 2017. Blossom is drawn to the magic tree. Photo by Abbie Hubbard, Dec. 2017.